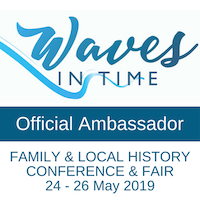 As I mentioned previously it was the addition of a new member to our facebook site that kicked off all this manic research, mainly because the family connected, however distantly, to my own Happ ancestry in Bavaria. Keith had written that his mother’s grandfather was a Julius Happ and they knew he came from Dorfprozelten because of a document the family held. On translation it turned out to be some form of recognition for Julius Happ in recruiting conscripts. As yet we know no more about that….perhaps, as Keith said facetiously, he did his best recruiting in the family’s inn late at night <smile>. Apart from what can be extracted from the local history, it is difficult to get a sense of Julius’s life in Germany. As we’ll see later Julius didn’t emigrate until he was around 30 years of age. My searching of the German newspapers on Google Books did turn up some references to his education however. 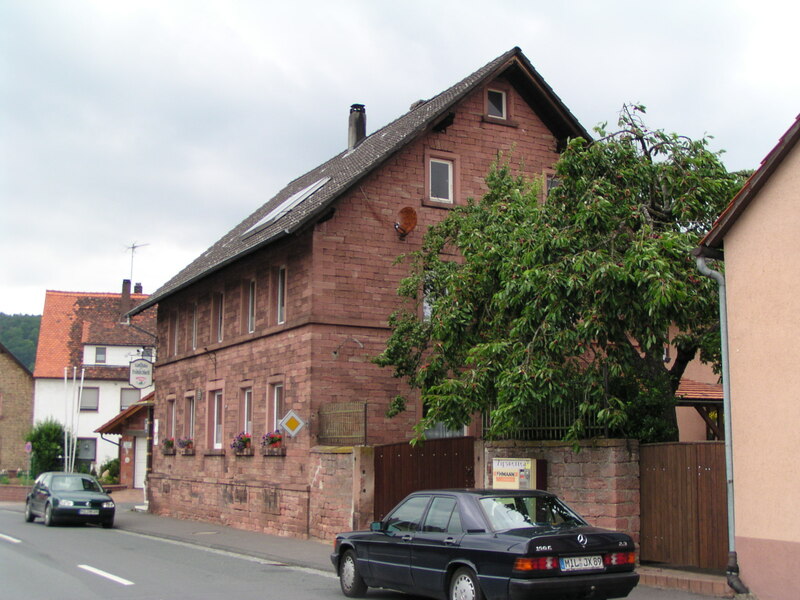 The initial one is high school information, as for his brother Raimund. Dating from 1864/65, he would have been 21….which does seem old. [ii] He is studying religion, the Latin, Greek, German and French languages, Mathematics, History and Geography. The second is more obviously university enrolment and I think it indicates he was enrolled in the faculty of law. [iii] This is for the winter semester 1867/68 when Julius would have been nearly 23. Perhaps this explains why he delayed his emigration to the USA. When I sent this information to Keith he remarked that the family had oral history that Julius had a degree from Germany and this notice seems to confirm that story. 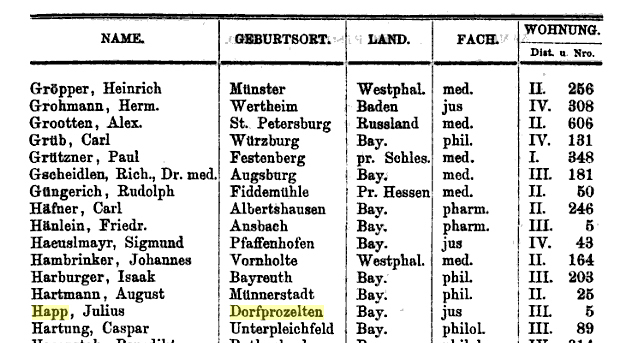 The local history, Dorfprozelten Teil II, indicates that Julius emigrated from Bavaria to “America” but no date is given. Despite searching a variety of sites I have been unable to locate his arrival and I’ve also been unable to locate an emigration notice in the German newspapers, as I could for his siblings Raimund and Anna. I also checked that Julius hadn’t arrived with his siblings but he certainly didn’t travel on the ship Main with them. It doesn’t help that he gives varying dates of arrival on the census enumerations. One possibility in terms of Julius’s arrival is Julius Hopp from Bremen on the Marco Polo, aged 24, a labourer, arriving in New York 3 March 1873[iv]. There is no other distinguishing information and given his varied responses on the census it’s difficult to be sure. I really don’t think we can be sure this is him rather than another. 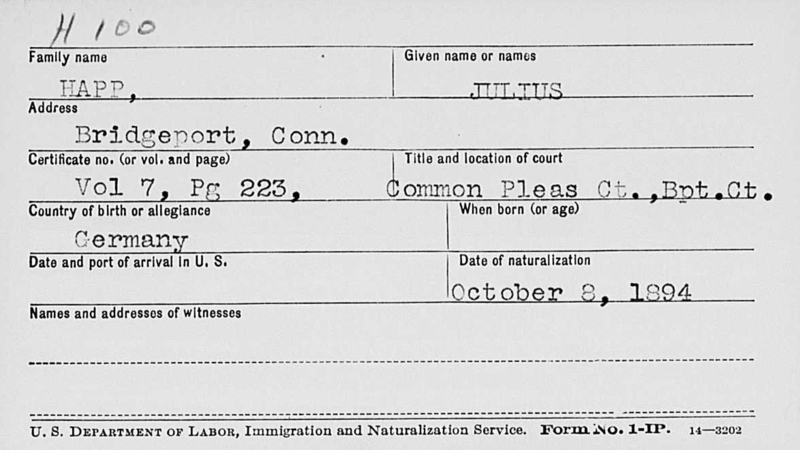 Julius didn’t become a naturalised American citizen until 8 October 1894[v], much later brother Raymond. 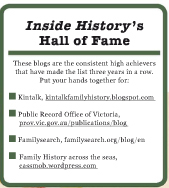 This search highlights the importance of accessing multiple sites as I found it only on Family Search. There are noticeable gaps in the details on the form and I wonder if the original document might include further details re his immigration. Ties to the country of their birth, the kingdom of Bavaria, was understandably strong in some of the emigrants, though it weakened the longer they lived in their new country, and also as Bavaria became part of a new federated Germany. My own ancestor arrived in Australia in the 1850s and wasn’t naturalised until 1903, after Australia had become an independent nation. Unfortunately because Julius hadn’t been naturalised earlier he also doesn’t appear on the voter registers – something my George Kunkel seemed to work around here, but in the USA they seem to have asked when and where you were naturalised. Julius Happ has been elusive in the US records from his immigration in the 1870s until I found him on the 1885 Rhode Island state census. He is living at North Kingstown, County of Washington, Rhode Island, is 40 years old, unmarried, boarding with the Horsfall family and working as a florist[vi]. Nor can I find a record of his marriage or his children’s births, except via their death entries on the Social Security Death Indexes (SSDI). According to Cyndi’s List, there is no 1890 Federal US census for Connecticut which explains that omission. As with any research, we are limited by the records which survive. Fortunately the City Directories go a good way to overcome that as we’ll see later. I had more joy with later census enumerations. In the 1910 Federal Census Julius Happ is on the Federal Census in Bridgeport, District Fairfield, Connecticut (CT). He is 62 and a florist, working in a hot house. Julius is married to Regina (52) and his children are Mary (22), Chas (21) and Julius (14), all born Connecticut. They also have two boarders in the house as well as a nephew (his or hers? ), a Frank A Will (10) born Delaware. On this record Julius snr says he immigrated in 1876 and has been naturalised, while Regina arrived in 1874.[vii]. If we knew Regina’s maiden name we might be able to find her immigration. In the 1920 Federal Census the family is still in Bridgeport (ward 5) and his year of immigration has changed to 1870 and Regina’s to 1872. The “children” are now 32, 29, and 24 and they still have two lodgers in the house, both Russian-born. Daughter Mary’s name is recorded as Marie. Julius is 73 and retired, while Regina is 52[viii]. The mis-reported 1900 census enumeration. The other children are on the next page. They are living at 1941 Fairfield Ave. This photograph appears in Dorfprozelten Teil II, page 229 with a caption indicating that the people were Julius Happ, his wife and child. City directories can be of variable use in family history but the listings for Julius were particularly helpful given his late naturalisation. I was able to trace his activities fairly consistently between the late 1880s until his death, using the Bridgeport City Directories. One interesting early anomaly is that Julius appears as a gardener employed by J Horan, bds Fairfield Ave and RR crossing per the 1884 Directory. Remember that he was in Rhode Island in 1885? Did he just move briefly? In 1887 he is again listed with J Horan as an employee at 647 Fairfield Ave. But in 1888, the directory notes he’d removed to New York. Unfortunately I couldn’t track him down there. Is this when he married Regina? Shortly after, in 1890, he’s back in Bridgeport, once again living and working at J Horan’s florists and nursery at 647 Fairfield Ave. This continues through the 90s as the firm becomes J Horan and Son. It seems throughout this time he’s living on the nursery premises as in 1895 the street directory for 647 Fairfield shows the residents as Charles Barey, Julius Happ, and Louis Wittman all employees of J Horan & Son as well as James Horan, florist and a John Puzak. Also from 1896, Julius is no longer listed as an employee but a foreman. 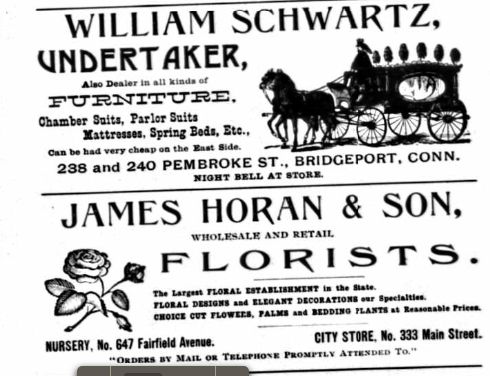 I suppose if you’re in the florist business it’s not surprising to advertise amidst all the undertakers’ advertisements. In 1900 the business, and Julius’s residence, has changed to 1941 Fairfield Avenue and this is where he continues until 1913 when he is listed as a foreman at J Horan & Son and living at 1782 State Street, grocer. This listing continues until 1916 with the combination of foreman and grocer….perhaps Regina was running a grocery business? From the census it’s clear this was a rental property. 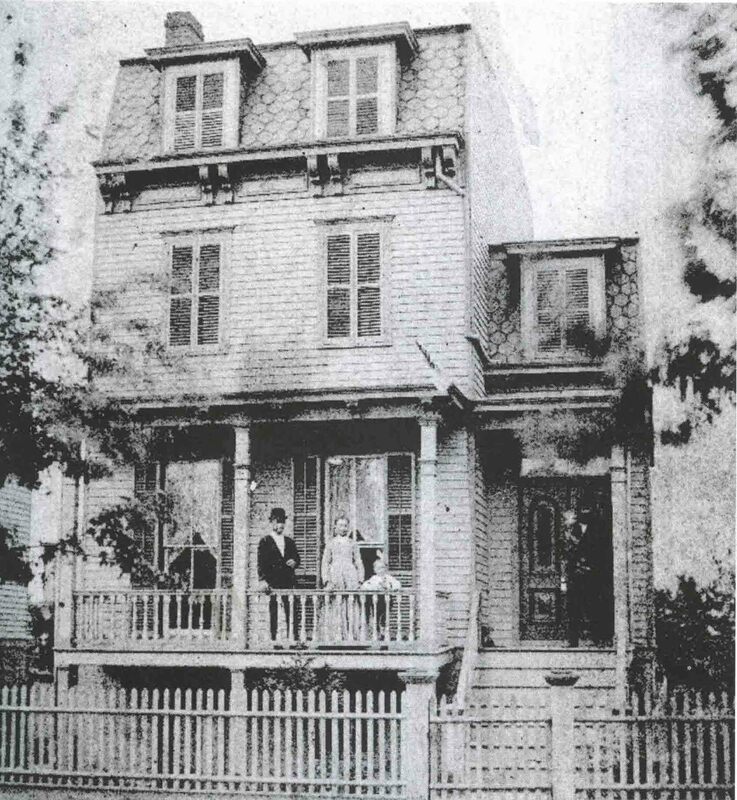 In 1916 the family relocated to 1796 State Street, and this would become their permanent residence, and one the family owned. Although then 74 years old, Julius was again listed as a gardener. He had worked for James Horan and son Stephen from 1884 until at least 1916, with only a couple of years absences. When you think that he had studied at university level in Germany, you have to wonder whether some immigrants really did benefit from the great American (or Australian!) dream. A Google Earth search reveals that these locations have been cleared. Julius Happ snr died on 22 September 1924, aged 79 years, 10 months and 11 days per his funeral notice[x]. 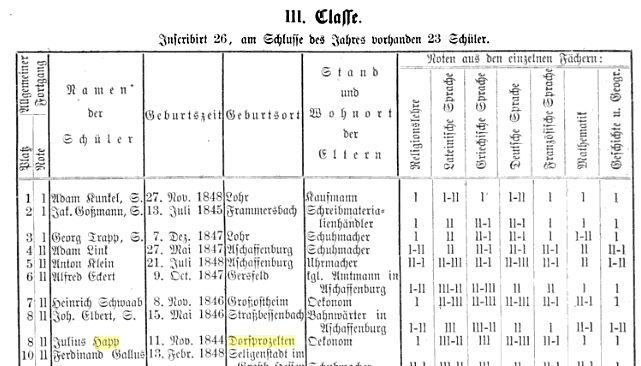 By my calculations this fits with his known date of birth/baptism in Dorfprozelten, and interestingly contradicts the stated ages on the census. Julius’s wife Regina died on 2 August 1933 aged 65, which I found in the City Directories[xi], but unfortunately I could find no reference in newspapers. Julius and Regina’s family continued to live in the Bridgeport and Trumbull areas for many years. Research warning: Searching German newspapers on Google books is fraught. I find it quite difficult to get the same results from the same search, which makes no sense. You just have to be lateral as I mentioned in my post about this some time ago. [i] Dorfprozelten am Main Teil II. 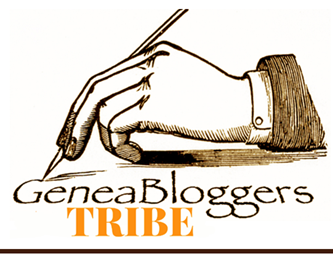 Veh, G, Benedict Press, 2002. See page 212. [v] New England Petitions for Naturalization Index, 1791-1906,” index and images, FamilySearch (https://familysearch.org/pal:/MM9.1.1/VX5G-L3F : accessed 08 Aug 2014), Julius Happ, 1894; citing Connecticut, NARA microfilm publication M1299, roll 15, National Archives and Records Service, Washington D.C.; FHL microfilm 1429685. [vi] Ancestry.com. Rhode Island, State Censuses, 1865-1935 [database on-line]. Provo, UT, USA: Ancestry.com Operations, Inc., 2013.Original data: Rhode Island State Census, 1885. Microfilm. New England Historic Genealogical Society, Boston, Massachusetts. [vii] Year: 1910; Census Place: Bridgeport, Fairfield, Connecticut; Roll: T624_128; Page: 56B; Enumeration District: 0013; FHL microfilm: 1374141. [viii] Year: 1920; Census Place: Bridgeport Ward 5, Fairfield,Connecticut; Roll: T625_175; Page: 21B; Enumeration District: 30; Image: 358. [ix] Year: 1900; Census Place: Bridgeport, Fairfield,Connecticut; Roll: 131; Page: 22B; Enumeration District: 0015; FHL microfilm: 1240131.